India on Friday suspended all-rounder Hardik Pandya and batsman Lokesh Rahul over comments made about women on TV chat show Koffee with Karan and could force them to leave the team's Australia tour, a cricket board source told AFP. "Both Pandya and Rahul have been suspended pending an inquiry over their misogynist[ic] remarks in a TV chat show," the source said. Pandya, who was in the squad that beat Australia for the first time in an away Test series, boasted on the TV chat show, about his success with multiple women. Rahul was on the show at the same time and watched his teammate's bragging that sparked outrage on social media. 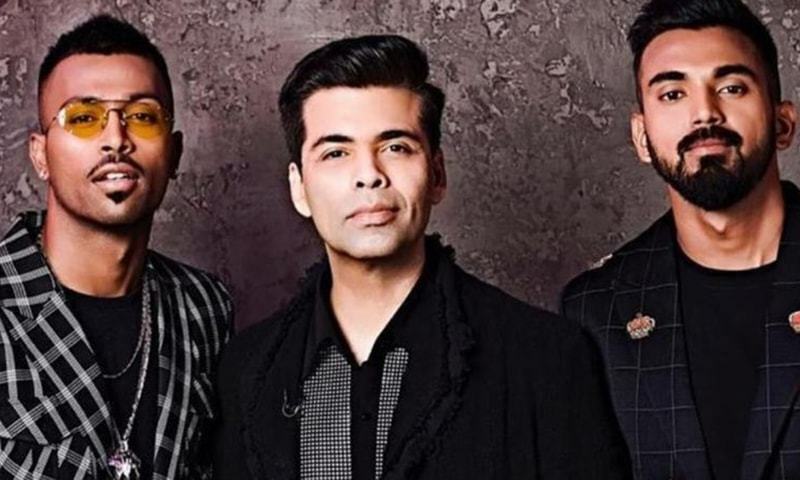 During the episode, Pandya is asked by Karan Johar why he doesn't remember the names of the women he meets at nightclubs, in response to which he said: "I like to watch and observe how they move. I'm little from the Black side so I need to see how they move." He also shared that he openly identifies the women he sleeps with to his parents: "At a party my parents asked me acha tera wala (women) kaun sa hai (Which are your women)? I said yeh, yeh, yeh (pointing out women) and they were like 'Waah, proud of you beta'," Pandya claimed. Diana Edulji, former India women's captain who is part of a Supreme Court appointed committee overseeing BCCI affairs, said on Friday the duo should not play until an investigation is complete. Skipper Virat Kohli distanced himself from the controversy earlier on Friday, saying the team does not support any "inappropriate" comments.